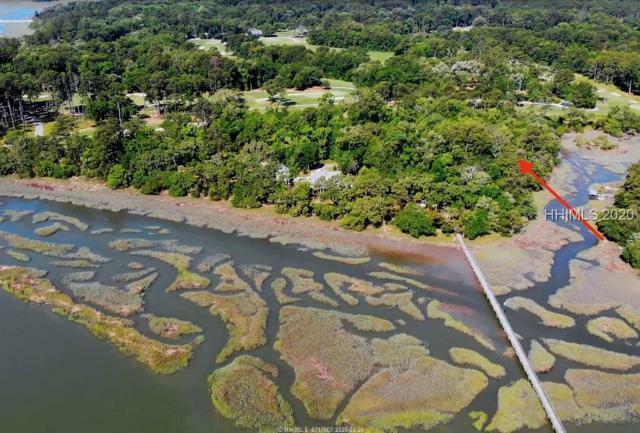 Spectacular panoramic views of the Okatie and Colleton River from this 11.66 acre property on deep water. Rare opportunity to own a large parcel of this size on deep water. Great option for family compound or a residential community. 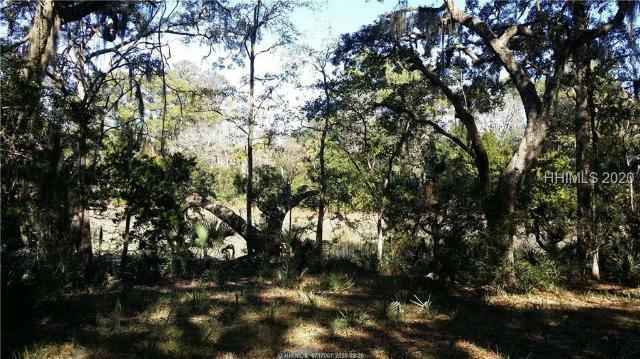 The property backs up to the Altamaha Preserve giving great access to viewing nature/wildlife and walking trails. Gorgeous sunset with live oak trees on a serene peninsula in a very private setting. This property is a rare gem and won't last long. If you want to live the Lowcountry lifestyle this is the place to do it! Dock permit in hand. Owner is SCREA. Conveniently situated near the confluence of Hilton Head Island, Bluffton, and Beaufort, SC and Savannah, GA lies this beautiful 1.6 acre estate. Currently owned by local architect, no expense has been spared to make this a warm and inviting home ideal for both enjoying oneGÇÖs privacy while also being extremely entertaining. Zero-entry pool, poolside tiki bar w/ multiple TVs, theatre room over 3-car garage, chefGÇÖs kitchen with gas cooktop, and much more. This home is a must see! Located on a beautiful bluff overlooking the deep water of the Okatie River. A very private lot. 2.65 acres of a serene setting. Located at the end of the street. Price includes a future brand new deep-water dock to be completed by seller. 8' of water at low tide. Can be purchased jointly with the home next door. BEAUTIFUL BREATH TAKING HIGH BLUFF DEEP WATER LOT ON THE OKATIE RIVER. The Property includes a dock & large wooden deck shaded by mature southern live oak trees with a 180 degree view of the water. A deep water dock with floater dock, running water, electricity & septic are in place for the home of your choice. There are No Restrictions or POA Fees. Only minutes from the Port Royal Sound & Atlantic Ocean. Fish, crab & shrimp from your very own dock!! Come enjoy all that the South Carolina Lowcountry has to offer. Only minutes away from the beach, golf, shopping & entertainment of Hilton Head & Historic Beaufort & Savannah, GA. GOLF + RIVER. 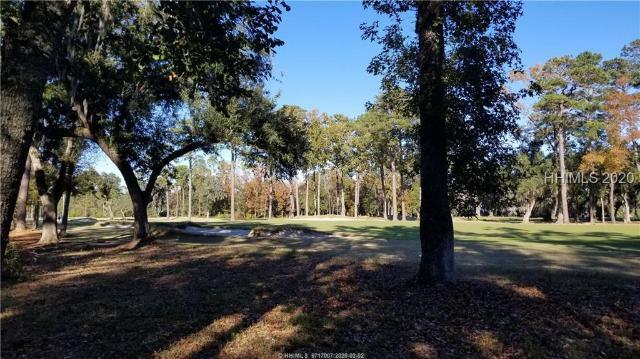 This private lot is nestled along the banks of the Chechessee with river views from the back and golf course views from the front. 17 Manigault Neck is located on a private/secluded cul-de-sac. Only 40 homesites within the community assure the natural Lowcountry setting will be preserved. This handsome cottage site is nestled along the banks of the Chechessee with the golf course across the street. Only 40 such homesites within the community assuring the natural Lowcountry setting will be preserved. 14 Cedar Point is located on a private/secluded cul-de-sac with close proximity to the community dock. Sitting on a high bluff this property faces East and has beautiful deep water views of the Chechessee Creek. This lot may be purchased in conjunction with 12 Cedar Point (MLS 384994) for a total price of $525,000 (both lots must close simultaneously). The best lot in all of Heyward Place. Almost 4 acre, lake view lot. Very private, open space on two sides. Great building site. Unbelievably priced considering the view and location. This site is nestled among the oaks looking across the 8th fairway of the Coore/Crenshaw designed golf course. Facing East with beautiful golf to marsh and deep water views of the Chechessee Creek. Only 40 such homesites within the community ensuring that Chechessee Creek ClubGÇÖs natural Lowcountry setting will be preserved. A private residence compliments the Chechessee Creek experience! Great location for this 1.29 acres in Heyward Point. It's hard to find large properties like this for this great value! The perfect site to build your dream home and have great privacy. 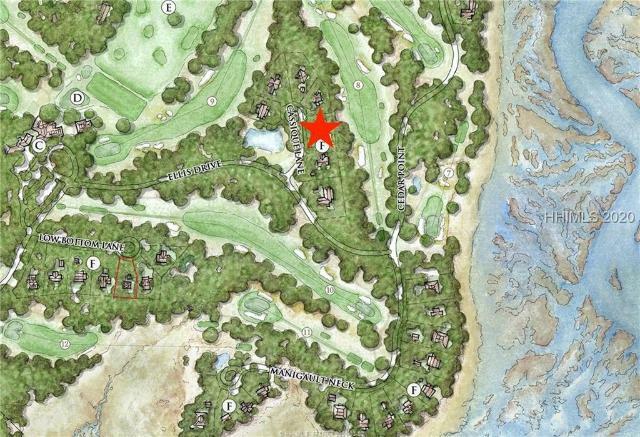 Location is also right across from Chechessee Creek Club, a great members golf club. 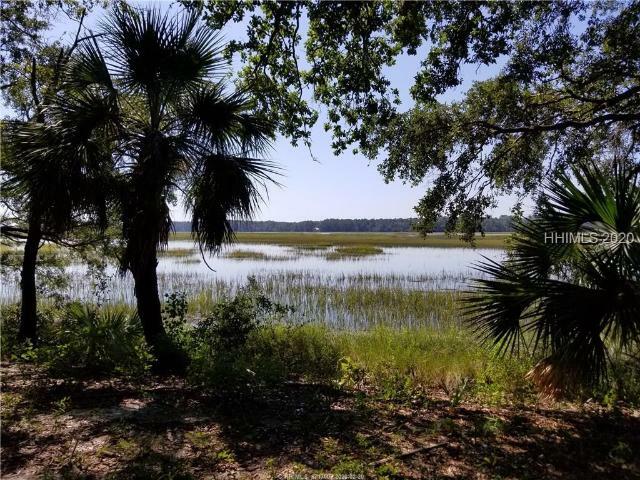 The neighborhood offers easy access to Bluffton, Beaufort and Hilton Head. Only 40 such homesites within the community. 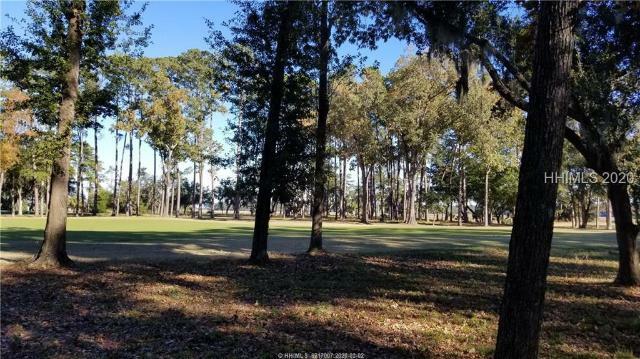 The handsome cottage sites are nestled near the golf course and along the marsh frontGÇôensuring that Chechessee Creek ClubGÇÖs natural Lowcountry setting will be preserved. 24 Cedar Point is located on a private/secluded cul-de-sac with close proximity to the community dock. 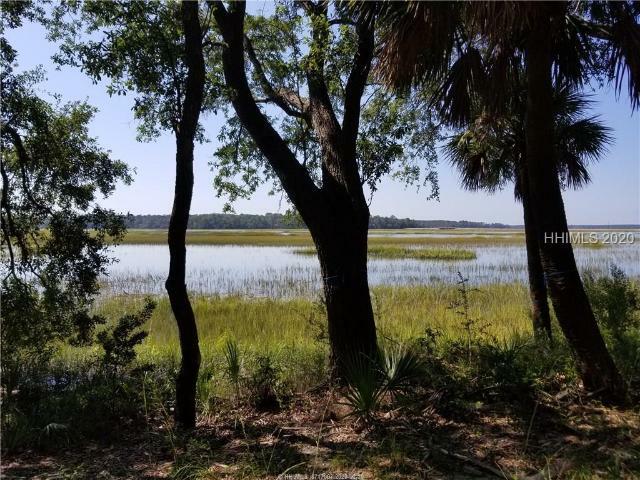 The property faces North and has beautiful views of a tidal creek. HEYWARD POINT: Featuring 1.36 acres on Heyward Lake. There's nothing like a whispering coastal breeze through a canopy of live oaks to add new perspective to your life. Exclusive community set on 515 tranquil acres. 128 homesites generously range form 1.2 to 4 acres and feature spectacular marsh and river views, a large panoramic freshwater lake, wide open spaces and forest preserves. Heyward Point offers an increasingly rare luxury in the Lowcountry ... room to breathe.